Wellman Face Scrub is formulated especially for men to invigorate skin and gently exfoliate, revealing a smoother, more vibrant complexion. 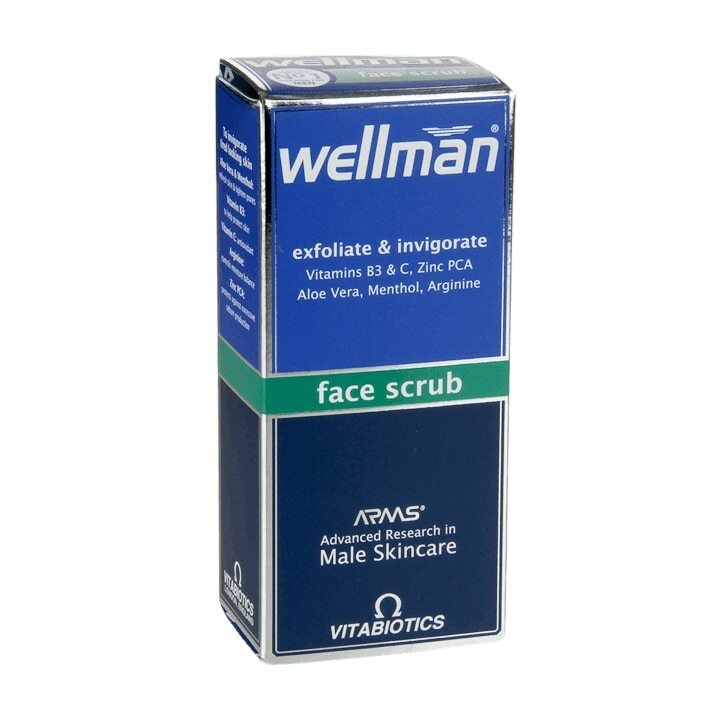 Formulated by Vitabiotics’ experts on the basis of Advanced Research in Male Skincare (ARMS®) regular exfoliating encourages skin to renew cells helping to maintain a firmer, younger looking skin. A unique blend of Aloe Vera and Menthol refresh the skin and help tighten pores for a smoother, more refined appearance. Zinc PCA helps combat oily skin and excess sebum, while the advanced nutrient enriched formula helps to reduce dry and flaky skin. Arginine helps control moisture balance in the skin cells to keep skin looking supple and youthful. Use daily. Gently massage a small amount onto damp skin in a circular motion around the face and neck area. Rinse well with warm water and pat dry. For best results, follow with Wellman® Anti-Ageing Moisturiser. Avoid direct contact with the eyes.